This is where we post dogs we are currently working with who need a loving forever home. We are working with each of them to make them ready for a happy, healthy, balanced life with someone like you. 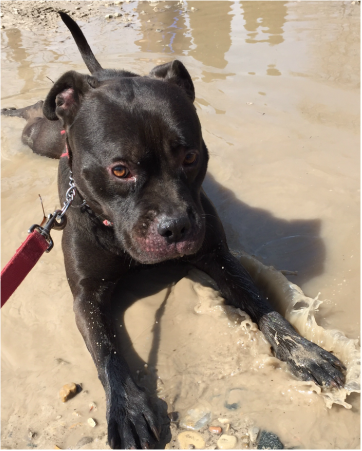 Trevor was boarding at a facility for over a year and wasn't getting any of the training or socialization he needed. A professional trainer knew he was in danger of being "lost in the system" so she decided to save this boy with the guidance he needed. He has been to just a few training sessions and is already making tremendous progress! He's not fond of cats but he is good with female dogs and some males. Trevor is wonderful with people and loves to cuddle. This boy is a pleaser and listens very well. Helping him continue to learn and flourish will warm your heart and your home. For more information on Trevor, simply contact Brenda at Brenda@betterlifecaninecenter.org. Violet had a rough start in life. At only two years old, she has already experienced a lot of neglect. She was found wandering the streets, cold, emaciated and missing her puppies. Almost Home and the Animal Control Officer looked for hours but they were never found. She was heartbroken and very depressed. She received extra special care to help restore her in body and spirit. But she has been at the shelter far too long. Since participating in Almost Home's Training and Socialization Program, she started responding to commands and is coming out of shell, although she does tend to be afraid of strangers, particularly men. But once she trusts you, she will never leave your side. 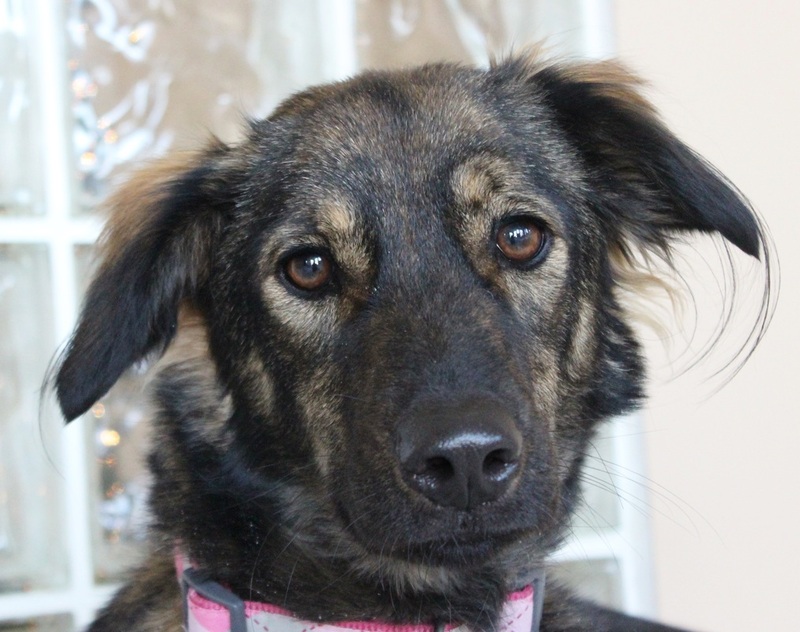 We are looking for someone who wants to provide this sweet girl with her first real home and plenty of love. If you would like to foster/adopt Violet, please consider coming to one of her training classes on Sunday from 11:00-2:00 p.m. to learn more. Contact Dianne at bark@iheartdogs.org. 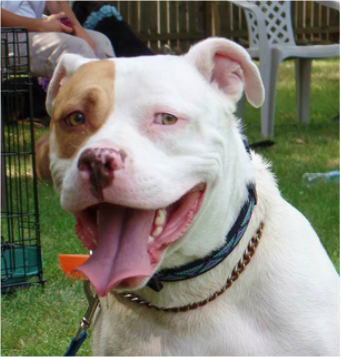 ​with one of our trainers, To learn more and meet Chico, please send an email to brenda@betterlifecaninecenter.org. Gracie was at the Almost Home shelter for more than 3 years. To help her work on her skills, she started participating in Almost Home's Training and Socialization Program. 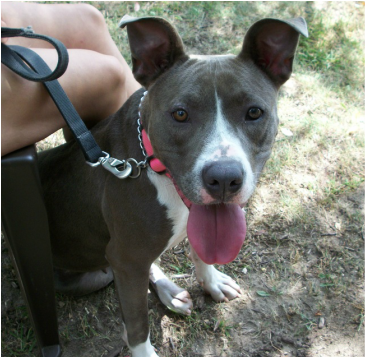 Now, she's at iHeartDogs in Warren, ready for adoption and the family of her own she wants so much. Gracie is wonderful on a leash, really good around other dogs, and her fear of strangers (particularly men) has begun to diminish. In fact, now she loves playing with her male trainer, which continues to build her trust. This loyal girl always loves with all of he﻿﻿r heart. She likes to give kisses, sit in the grass ﻿﻿in your lap, have her belly scratched, and just hang out. 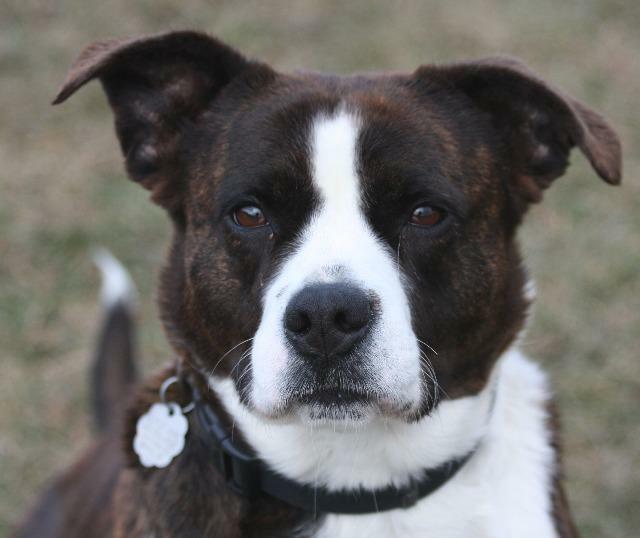 If you are the one this deserving girl has been waiting for, please contact Dianne at bark@iheartdogs.com. This boy is a water baby. He loves nothing more than walking, swimming or even laying down in H2O! This affectionate boy is good with both men and women but due to the fact that he is a bigger build, we think he would do best in a home without young children. Duncan gets along well with calm, medium sized dogs. He is good on leash and likes his walks. 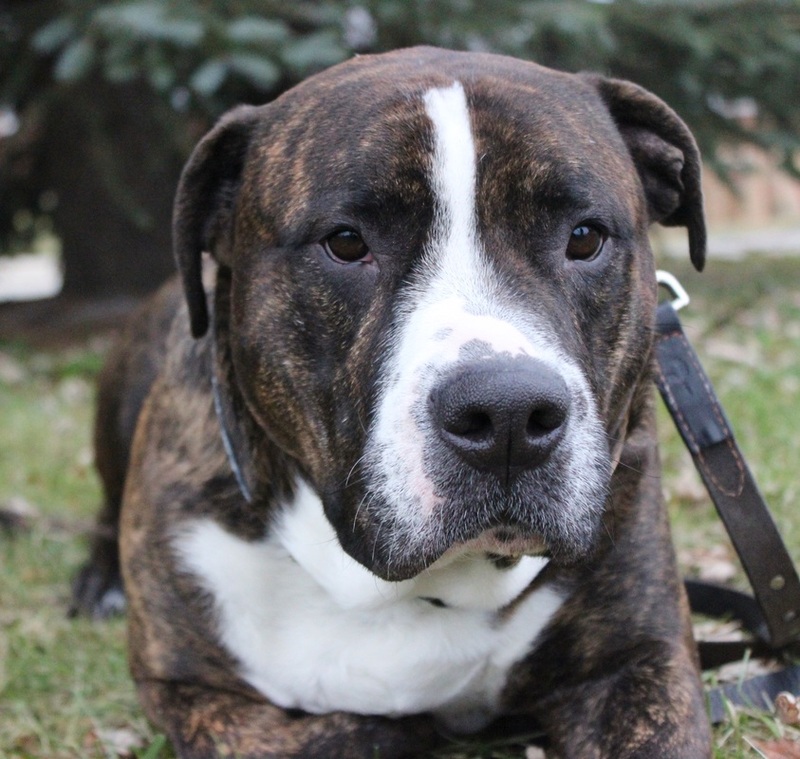 If you are interested in adopting Duncan and have a dog at home, please let us know and we can introduce them to determine if they are a good match. If you are interested in meeting, fostering or adopting Duncan, please consider coming to one of our training classes held every Sunday from 11:00-2:00 p.m. Contact Dianne at bark@iheartdogs.org. Buster - he's handsome and he knows it. Even better, this balanced, laid-back guy would make a wonderful addition to any home. When he came to us he wasn't sure what being a good boy was all about. Once he started his training, it became apparent he was a smart fellow - and today he is is good on leash as well as comfortable around people and other dogs. Now he's ready to come home to a forever home that will appreciate his easy-going personality. Interested in Buster? contact Brenda to talk about this good boy: Brenda@betterlifecaninecenter.org.